What gets lost in all the talk about the recreational legalization of cannabis is the reason we got here in the first place: the health benefits of medical cannabis. Many people have mixed feelings about medical cannabis – and for good reason. For decades, marijuana has been lumped together with “the drug culture” which includes heroin, cocaine, and other hard drugs. Now it is legal, yet some still associate it with the seediness of other drug use. Even medical cannabis, in the United States especially, is often prescribed with a wink. Medical professionals hate to use the word “miracle drug” for good reason. That places it in the same category as fantastical stories from the Fountain of Youth or cure-alls. But cannabis does have many medical uses, even if they aren’t all completely understood. For real sufferers of certain diseases and health conditions, medical cannabis can help where other medications have not. Scientifically, the concept of plant-based medications occurring naturally is not a stretch – many of today’s pharmaceuticals are derived from or synthetically reproduced compounds found in nature. Cannabis alone has over 400 different chemical compounds, of which about a quarter are classed as “cannabinoids” that act on certain receptors in the brain. One cannabinoid is THC (tetrahydrocannabinol), the compound with the psychoactive effects that give users a distinctive “high.” Another is Cannabidiol or CBD. This has many medical uses – some for serious conditions. However, because cannabis has been illegal for so long, modern medicine has not had a chance to thoroughly research its medical benefits. There is some evidence to suggest that medical cannabis can be used in other – quite remarkable – ways. Such as reducing cancer growth and even killing certain cancers, improving lung health, and reducing nicotine cravings in smokers. However, these areas require much more research before firm conclusions can be drawn. One of the greatest benefits of medical cannabis is what it doesn’t do. CBD has few side effects, and those side effects are relatively mild. Some users have reported diarrhea, dizziness, abdominal pain, and slight allergic reactions. 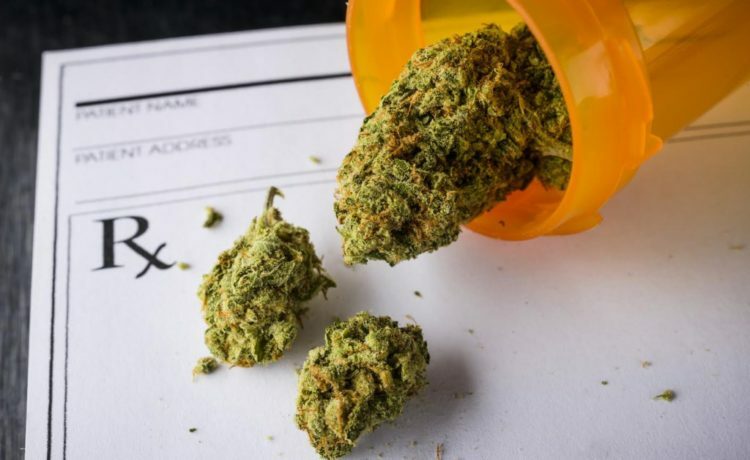 Further, cannabis has only mild interactions with other medications, for the most part slightly increasing or slightly decreasing the effects of other drugs. Most side effects of medical cannabis seem to be related more to contamination with fungal or bacterial organisms, pesticides, or other toxins. In Canada, Health Canada’s licensed producer (LP) system provides tremendous oversight and regulation – similar to that of other pharmaceuticals – to reduce the risk of contamination. Research is difficult given that cannabis is illegal throughout most of the world. Within Canada for example, cannabis researchers had to go through a long and complicated process to obtain samples before full legalization. Today, the future of medical cannabis research is much brighter in Canada with cannabis legalization. Licensed producers (LPs) in Canada can freely provide cannabis for research. Further, Health Canada’s licensed producer system provides safe, secure production that reduces the risk of contaminants, reduces the illegal markets, and helps keep cannabis out of the hands of youth. The Licensed Producers Canada website provides tons of information on cannabis including a full list of licensed producers (LPs) in Canada, news about the cannabis industry, and other resources. You can also contact us directly with any questions at info@licensedproducerscanada.com.